This is the home page for Steve Winker. I retired in December 2006 and started a lifestyle of fulltime RVing on June 13, 2007. This web site is an attempt to let friends and family know where I've been and where I'm going. So it will always be a work in progress. However, don't be surprised if it doesn't get updated that frequently. I'm traveling in a lot of areas where web access is not always available. Plus, if you were sitting at some campsite in Alaska with amazing scenery, would updating your website be very high on your priority list? So be patient and I'll do my best to let you know what's happening. I first hit the road in a Tiger CX. After 7 years and 102,000 miles in the Tiger, I decided it was time for a new home. My second home was a Roadtrek Versatile 170. 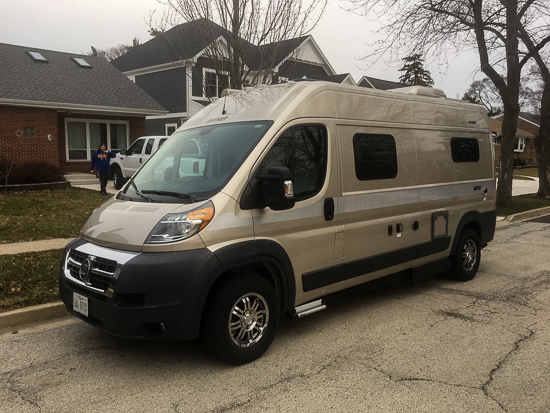 After 4 years and 52,000 miles, I realized the Roadtrek didn't fit my needs as well as I wanted. So I'm now on my third home, a Hymer Aktiv. This is Wilson. He's a whiz with road maps and the GPS, so I signed him on as the navigator for my journeys. 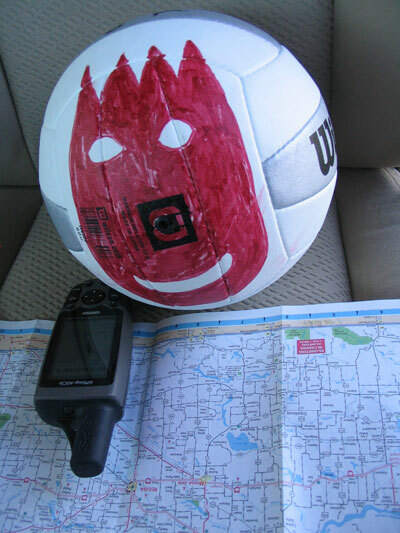 Those of you who have seen the movie Castaway with Tom Hanks will recognize Wilson. Click here to see his web page. Now let's get to why we're all here. Just where am I right now? My plans are usually pretty fluid. So the itinerary and dates below are pretty sketchy to start with and subject to change. As I visit places, I'll update the itinerary and add links to any photos. The photos are intended to show you what I'm seeing and experiencing. So they may not always be the best. As I mentioned previously, I started traveling full time in my RV on June 13, 2007. Here's where I've been since then. I enjoy photography. 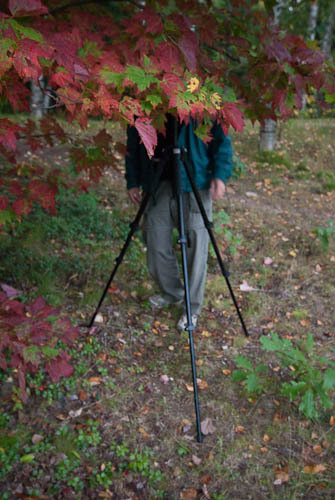 In the past few years I have attended quite a few photography workshops. I highly recommend the workshops offered by the Rocky Mountain School of Photography, National Parks at Night, Photographer's Breakthrough, and Don Mammoser Photography. If you want to have some fun while learning a lot about photography, I highly recommend	any of their workshops. The instructors are very knowledgable and make learning a lot of fun. 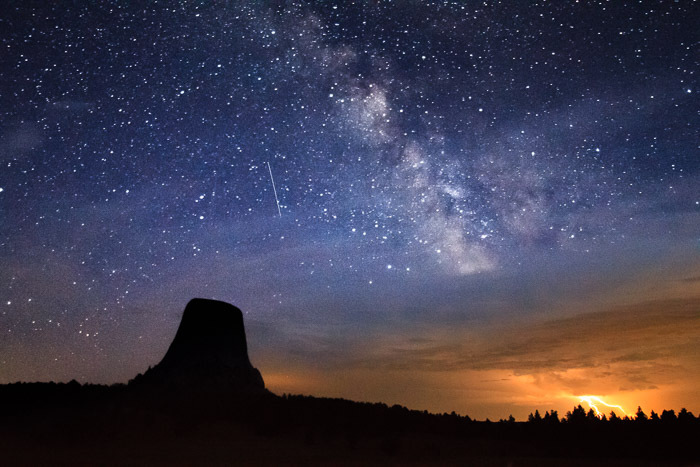 The photo on the right was taken during a night photography workshop at Devil's Tower. To see other photos I have taken, check out my photo galleries. I recently published a book highlighting my favorite and most memorable experiences from my first ten years on the road. I also create calendars every year containing my photos. The book and calendars are available from the Lulu website using the links below.